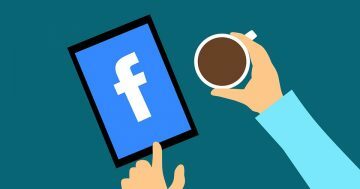 On January 11th, Facebook announced a sweeping change to its news feed algorithm, a shift that will “prioritize content from friends, family and groups,” as reported by HootSuite. Changes to the algorithm will be rolled out over the next few months. This is great news if you’ve got a hankering for more photos of your friends’ meals, kids, or pets. But for small business owners, a stronger emphasis on personal posts and less visible marketed content means it will be harder to gain customers’ attention on Facebook. To avoid a dip in your reach, you’ll have to adjust your Facebook marketing efforts to account for this algorithm shift. Fortunately, there are ways to get around this potential setback. One method is interacting more on your personal Facebook page, using your own profile as a supplemental marketing tool. Focus on being present and sharing some of your life with customers; it’s not necessary to constantly talk about your business or promote your product. Aim for balance: be personal, but not too personal. This is your chance to show off the face behind your business and give it more dimension. Obviously, your business profile is still your most important marketing tool. In an AdWeek piece on reactions to the change, Billy Boulia, VP and Group Director of Social Strategy at DigitasLBi, offered the following advice on what to do before the new algorithm takes full effect: “Brands need to take quick action with their Facebook content strategies to dig in to the data on ‘who’ their fans are and what makes them tick so that brand content is synonymous with relevant content.” Use this time to confirm who your customers and followers are and what kind of content they’re responding to most. The new Facebook algorithm will be putting heavy emphasis on comments, so investigate which of your posts are most engaging and creating discussion among your followers. From here on out, your marketing should try even harder to inspire user conversation. You may want to start asking more questions, but without using gimmicky baiting techniques (as in, “Comment below if…”). You can also remind customers to follow your business page, and let them know about Facebook’s “See First” option, which allows users to specify the pages whose content they want to prioritize on their news feed. Consider increasing your ad budget, as boosted posts will become more important in the upcoming sea of personal content. Finally, now is the time to embrace Facebook’s Live and Stories features if you haven’t already. Coffey & Tea Managing Director Meg Coffey said of the new algorithm, “I think this is a game-changer for some businesses. It’s going to push the use of video and live video even more into the forefront. Facebook really wants us using Stories.” Going live and/or updating your profile’s story give your followers unique and compelling access to the day-to-day of your business. That insider information can do wonders for keeping your followers engaged and interested. We hope these tweaks will help you brace for yet another Facebook override. In the meantime, let’s start emotionally preparing for more dog and baby content. That’s what we’re all really here for, right?